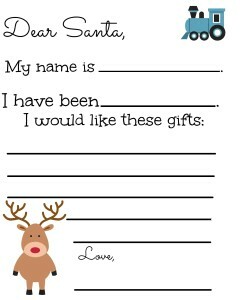 You will love our FREE printable letter to Santa. 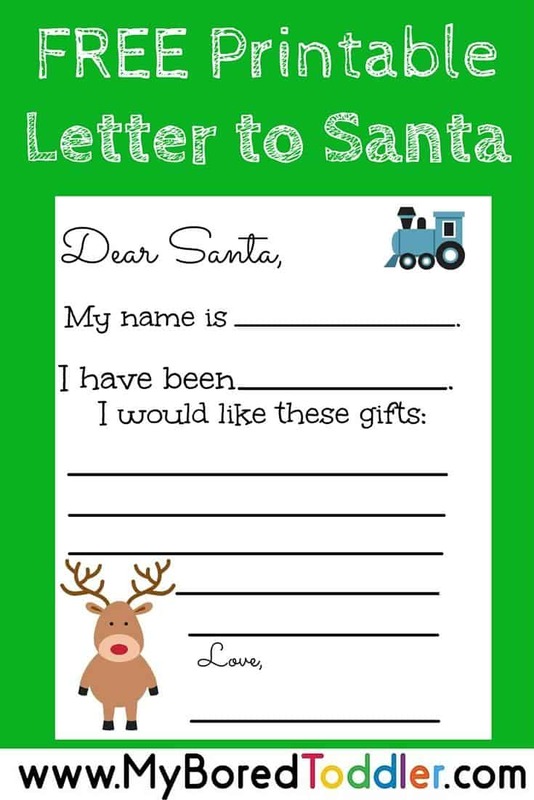 This letter to Santa is great for pretend play. Set it up with a mail box (no need to be fancy – a shoe box with a hole cut out will work), some pencils or crayons and some envelopes and they will have so much fun. Don’t worry about the fact that a toddler can’t write yet. Pretend writing is one of the first stages of writing and should definitely be encouraged. If you loved this Christmas activity you will also enjoy our Toddler Christmas Activity Blog Hop and our Toddler Christmas Gift Guide. « How to start potty training – a resource guide! I was just thinking that we had to write letters to Santa soon. This will be perfect for my toddler and 5 year old. Thank you!